Welney today remains both a small village of less than 500 people and a large parish that straddles the county boundaries of Cambridgeshire and Norfolk in North East England. 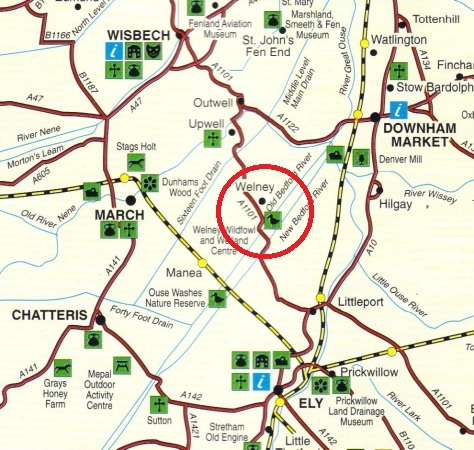 Whilie it is part of Norfolk today it was in Cambridgeshire when John was born. The name dates back to the 14th century and means ‘river called Welle’. 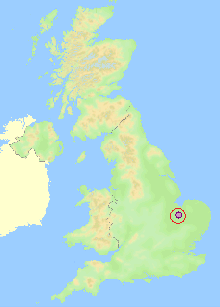 The Fens, the flat low-lying area of East Anglia, used to be wet and boggy and regularly flooded. In 1630, King Charles I granted a drainage charter to the 4th Earl of Bedford to construct two new rivers adjacent to Welney to facilitate drainage of an area 32 kilometres long and over a kilometre wide to act as washland, a fertile ground but a floodplain during winter. When it freezes in the cold of winter it forms vast ice rinks. Today the fens, rivers, banks and washes around Welney are all man-made and the distinctive landscape gives Welney its character, damp, fertile and somewhat foreboding. John Cocker senior was both married and buried at the old brick Welney chapel built around 1550 and replaced by the current St Marys the Virgin Church of England, built in 1848. Welney had three pubs in 1807 but just one, the Lamb and Flag Inn, not only exists, but is still trading. A stroll down the Main Road today shows a few newer brick houses, a sealed road and footpath on one side and canal on the other but perhaps not so very different from 1812 when John Cocker was born.